Let me start by saying that information comes in many forms. Information can be newspapers, magazines, television, Internet webpages, pictures, music, books, movies and more. In my line of work as an instructional designer and educational technologist, I come across information that I like and want to share. For years I have been collecting websites on delicious.com and sharing them, but I was having difficulty collecting other types of information and organizing it so as to recall it when necessary. I do use Dropbox and Google Drive, but these were not working for the combination of web/data collection and organization that I wanted to have. Then I met the Elephant! I was hesitant and skeptical at first. How could a FREE app be so powerful? I began my research of Evernote where I start most of my research…with my peers. I was hearing great things from other ed. tech nerds like me, so I went to the next level of research, Lynda.com. I watched the videos and began to see the potential the Elephant had in my life…and not just for work. 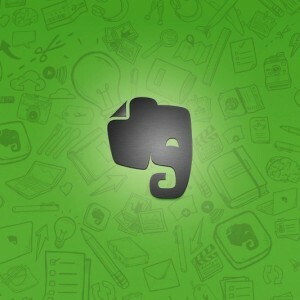 I downloaded Evernote on my work computer first. I created a FREE account and began to play around with the local app as well as the online version. It was not even an hour later before I downloaded it to my iPad, then my iPhone. By the end of the day every computer and device I owned had it installed. I began to see that I was able to save on one device and access it easily from any other device. Organize the data by TAGGING it. (This my friends is the key to it all!) Notes can have as many tags as you want. Tags allow for you to search very quickly and efficiently. Searchable everything. Find notes by searching the tags. Very QUICK. Although I have one Evernote account, I have notebooks for “work” and “personal.” I have other “project specific” notebooks too, but they are grouped under work or personal. I really use the tags to master my organization. So What Do I Put in Evernote? What DON’T I Put in Evernote? I clip articles or journals related to my area of Ed. Tech and I’d tag it with tags like “Ed Tech,” “LMU,” “article,” etc. If the article were about Google or Apple I’d add those tags as well. Later, when I want to read or refer back to or reference an article, I can search by “article” tag or by “Google” tag or both. I have a notebook for recipes that I come across or want to share. I have a notebook for contacts. Here is where I take photos of business cards and can add notes about them or their work. I have a tag for each of my kids. When I want to refer back to the uniform policy for the high school I can quickly get that information by searching the tag for the kid in high school. When I need the junior high directory, I search for the tag of the kid in junior high. There is nothing I don’t put in Evernote. I have taken a pledge, as you may recall in a previous post that I am going paperless this year (2013) in hopes to make it a lifestyle change. Evernote has allowed me to begin to make this happen. I do still use Dropbox and Google Drive for redundancy of some data, but for the most part, I’m sticking with the Elephant. As a teacher, you can use Evernote to capture web data and online research on any topic you can imagine. You can upload documents, videos, audio files and more; and by simply tagging them properly, have these collected resources at you fingertips. Another great feature is the ability to share notebooks; aren’t we all about collaboration these days? As a teacher, you can show your students how to use digital notebooking and you can be a hero. Watch this video to be inspired! I encourage you to check out the Elephant, you won’t regret it! As far as your “virtual junk drawer” goes, that was how I was feeling. I was collecting these great articles and sites and they were all over the place. I had no central storage facility and no organization strategy and no way to easily retrieve the information. Evernote saved me! It worked for me. The most important thing is use what is comfortable and works for you.